Not just on that bench, but on George's list of priorities. 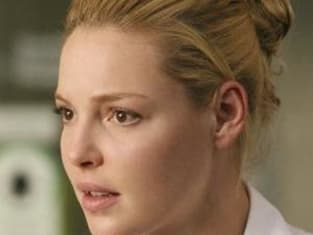 Grey's Anatomy Season 3 Episode 20: "Time After Time"
"I came here to be chief. Meredith complicates that." Permalink: I came here to be chief. Meredith complicates that. [narrating] "A patient's history is as important as their symptoms. It's what helps us decide if heart burn's a heart attack... if a headache's a tumor. Sometimes patients will try to re-write their own histories. They'll claim they don't smoke, or forget to mention certain drugs... which in surgery can be the kiss of death. We can ignore it all we want, but our history eventually always comes back to haunt us."